Freedom Day in South Africa is celebrated on April 27th each year and celebrates in 1994 the first democratic non-racial election held in the country. People are patriotic on this day and give thanks to those who sacrificed their lives for the liberation of South Africa today. In 1994 the election held in South Africa had anyone over the age of 18 years old of any race with even non citizens allowed to vote. 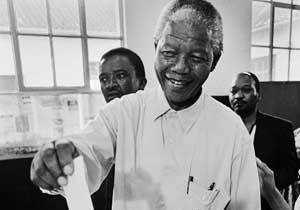 The result was the African National Congress was voted into power and Nelson Mandela was elected the first President on May 10th.